Welcome to this week’s weekly round-up, I hope you’ve had a fun and productive week. This week we take a look at how you can reduce your online digital footprint and still enjoy social media, why a 7 hour work-day is better for your health and productivity and test your eye for design with a fun game. 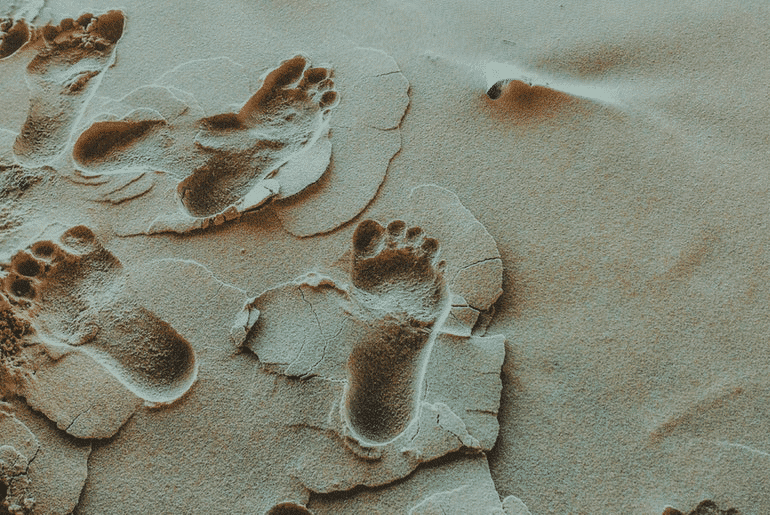 You might think that the only way you can be safe online is to delete all of your accounts and move to a yurt in the middle of nowhere, but there are some ways you can make your internet footprint invisible without taking such drastic action! This infographic from CashNet USA covers all of the basic safety tips for your browser, how to lock down your social media accounts so you’re only sharing what you want to who you want and even how to stop your mobile phone tracking you! Remote working makes sense in a lot of businesses – you get to access the best talent the world has to offer as well as keeping your costs low. Managing your teams when they’re spread out can be a bit of a challenge so in this article RingCentral looks at how you can support your remote teams in order to keep them motivated and productive. Not everyone has the luxury of being able to set aside an entire room for meditation so this post has lots of little things you can add to any sized space to help you relax and reach inner peace. My favourite? Twinkle lights! Last week I talked about how many extra hours we’re working for free and it turns out that we’re not just missing out on money – we could be severly damaging our health too. I’m not quite sure how you’d enforce a 7 hour work day but judging from the benefits it would appear to bring it’s certainly worth trying. If you’ve been following my Instagram account you’ll know that I like to post photos of what I’m cooking and my two dippy cats. This won’t get me a massive following so I’ll be using these tips from LeisureJobs to get my follower count up! I hate waste so anything so if I can freeze to save for later, I do. While stuff will last quite a while in the freezer (if stored correctly) items do have a set amount of time before they go past their “prime” and while it’s still edible it won’t be as good. How long do you have? Well, you don’t have to worry as Your Best Digs have broken down all of the timings for you – just remember to put the “Frozen On” date on your food before you pop it in the freezer! We’re all constantly being pulled in so many different directions between what we think is important and what others think is important – so, how can we figure out how to prioritise all of these tasks? This article from Appfluence will help you recognise what your priorities are and get you focusing on the important tasks. Long-time readers will know that Getting Things Done (GTD) really kickstarted my productivity habits 14 years ago. While I can get my head around a paper-based GTD system, I never really got using it digitally – mainly because my copy of David Allen’s book “Getting Things Done: The Art Of Stress Free Productivity” (affiliate link) was written before the always-on age of the smartphone. If you’re interested in learning GTD but want to use it in a more “technical” setting then Zapier breaks down how you can use Asana for GTD – and I would think you could apply this theory to Trello as well. Make sure you have have some free time available before starting this infuriating game! As someone who likes to think they have an eye for design this game is a fun test of your spacial awareness and eye for what’s right. There’s only 10 “levels” to go through but my goodness it’s difficult!